Bookings are essential and numbers limited, to book a place fill out the entry form below. The course fee covers tuition only. You must bring own bike, riding gear, and organise your own accommodation, fuel, spares, food and drinks. Note: Our courses are conducted under a permit issued by Motorcycling Australia, all participants must sign an indemnity, all participants must also have a Motorcycling Australia license, for those who do not have a M.A licence we have temporary M.A Recreational Activity License’s available for a cost of $30.00, and these are issued at sign-on for those requiring them. If you did not prepay this licence on your entry form $30 is payable at sign on. The temporary licence is only valid for the duration of this course. This is not a VIC Roads or NSW RTA licence. 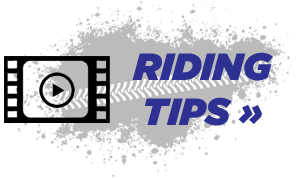 Motorcycling Australia licences do not include accident insurance or Ambulance cover; both of these insurances are recommended before undertaking any motorcycle activity. is from 8.00am. Here we will sign indemnity forms, have a briefing and course outline. Course finishes around 4:30 on day 1 and earlier on day 2. K & L Heffernan P/L and send with completed form to: 10 Hutchinson Street, Bombo, NSW 2533. Upon receipt of your entry form we will send you a confirmation letter and all final details. To pay by Paypal or use your credit card please select 'Paypal' under the payment option. The general dirt bike fundamentals like, Standing, Braking, Weight Distribution, Clutch, Brake and Throttle Control. Then we work on the off road specific skills like, Hills, Logs, Jumping, Ruts, Berms, Flat and Off Camber Turns. We also cover: Nutrition and Hydration, what to carry on the trail and fixing flat tyres. ** Course participants under the age of 18 years must have a parent or assigned guardian with them at the course at all times.